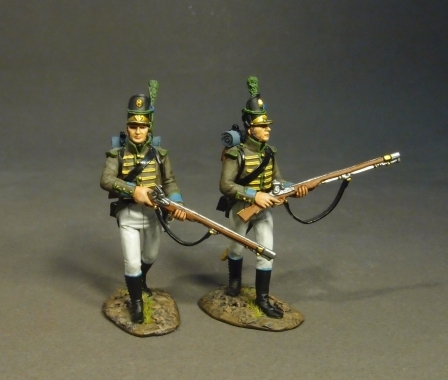 these were the elite light infantry of the Portuguese Army during the Peninsular War. One of the most distinctive features of the Caçadores was their famous brown uniform . than the traditional green uniforms used by the light infantry of most other countries in Europe. Caçadores became especially notable in the performance of marksmanship at long distances. They were indoctrinated with British battalions and formed part of the famous "Light Division" of Major General Robert "Black Bob" Craufurd. Both battalions are unquestionably the most famous Portuguese battalions. They were trained by British officers and were the equivalent of the 95th rifles.